Meteor Strike: Can We Spot The Next Big Asteroid in Time? 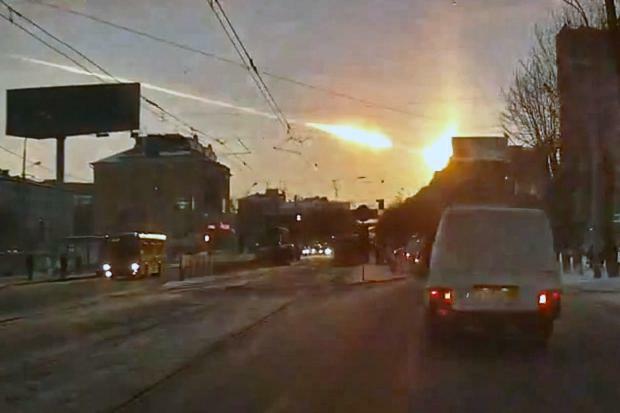 On the morning of February 15, 2013, around 9:26 a.m. local time, the sky above the Siberian town of Chelyabinsk was sliced by a bright streak of light, ending in a flash brighter than the Sun and sending glass-shattering shockwaves thundering across the region several minutes later, breaking windows and injuring over 1,000 people. The culprit was a 10,000-ton chunk of rock and iron that impacted Earth’s atmosphere, exploding 15 miles up with the force of 3o Hiroshima bombs. Not much physically was left of the meteor afterwards, but one thing that has remained is the unnerving question: will this happen again, and where? The February 15, 2013 meteor over Chelyabinsk was the largest object to burst in the atmosphere since the Tunguska event of 1908, which was also in Siberia and left few eyewitnesses or clues. But this time the event was captured by digital dashboard cameras, now ubiquitous in Russian vehicles. Within days, NOVA crews joined impact scientists in Russia as they hunted for clues about the meteor’s origin and makeup. From their findings, it’s clear we came close to a far worse disaster, which NOVA sets in perspective by looking at greater explosions from the past, including Tunguska and the asteroid that helped end the reign of the dinosaurs 65 million years ago. “Meteor Strike” asks: Is our solar system a deadly celestial shooting gallery with Earth in the crosshairs? And what are the chances that another, more massive asteroid is heading straight for us? 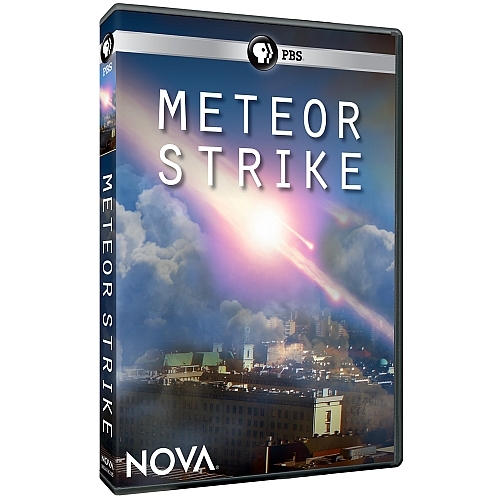 Meteor Strike: another great science program from NOVA! “Meteor Strike” puts you alongside scientists as they hunt for clues about the Chelyabinsk meteor, what it was made of, where it came from, and why it exploded the way it did. Discover what this event tells us about the solar system we travel through every single day, and what we’ll need to do in the future to prevent such an event — or worse — from occurring over a more highly populated area. It’s an exciting adventure, but also one that reminds us that we are definitely not alone out here. • Why the Chelyabinsk meteor wasn’t spotted beforehand — and what researchers are doing to prevent another surprise. “Meteor Strike” is available for purchase on the ShopPBS site here for $19.99. You can also watch the presentation in its entirety on the NOVA site here. Every now and then I will receive books or DVDs to review. I’ll do this gladly, if the subject matter is appropriate, but I always make sure that comes with the condition that some will be made available to my readers as a giveaway. Spread the space love!